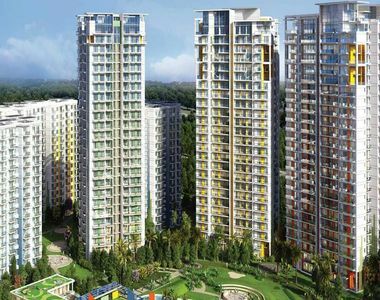 In the plush areas of Mohali, Punjab,Hero Realty Ltd. has launched their project Hero Homes Mohali. The project, which is located in Sector 88 of Mohali, offers not only an unprecedented luxury to those who seek it but also a sense of homely comfort which everyone desires in their dream homes. With their impeccable construction design combined with the trust of Hero, this project is surely attracting a lot of eyes even though it is still under construction. 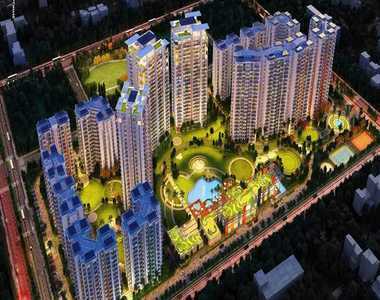 The project has 2BHK, 3BHK and penthouses ranging from 692 sq. ft. to 2834 sq. ft.All the apartments offered in this project are high quality premium grade apartments which cater to the needs of everyone. Armed with a clean and green neighbourhood, it is no less modern in terms of the amenities it offers to its residents. This project of Hero Homes Punjab is one of its kind in the whole state. It offers a high-end gymnasium facility to its residents with all the modern machinery and equipment, as well as a meditation centre to those who enjoy the bounty of peace. For the children, there is a kid play area which qualifies on all the safety standards. For the sporty and athletic residents, there is a basketball court, a jogging area, a tennis court, and a swimming pool. For the purposes of entertainment, the residence comes with a theatre and a club house, where families can enjoy and have their personal time together.There is a cricket pitch, zen garden, squash court, amphitheatre, pool deck, and more for residents to enjoy. All the facilities in the apartments ensure that the residents get what they deserve. The location of this project is perfect. The city of Mohali is slowly becoming an industrial hub, where big industrialists are setting up their plants and factories. This has contributed a huge lot in the development of the whole city, where people from outside the state, and even from outside the nation are coming to look for jobs and for bettereducation. The place has many major schools located within 5kms of the project. Fortis hospital, a major hospital is just 3kms away from the location. The project is also close to the North country mall, with the distance being only 5kms, and the International Airport of Mohali is only 12kms from here. Hero Realty Ltd. is known for the quality of their project as well as their reasonable prices. Hero Home Mohali price is also quite reasonable. When you consider the fact that finding a brand-new home in Mohali is becoming as difficult as Mumbai or Delhi, you will definitely find these homes worthy to be called your dream home.